Wiseacre Brewing Thurs+ Weekend Wines & Moonlight Mead Saturday! Oktoberfest starts this Saturday! Wiseacre Tasting Bar Takeover for Beer Thursday! For this week's Free Beer Thursday Tasting, we will have Taylor from Wiseacre Brewing in the shop to help you get an early start on Oktoberfest (which officially begins this Saturday!). WISEACRE is a brewery committed to top quality, uniquely flavorful beer that appeals to passionate & progressive people through education & good times. The brewery name comes from a term of endearment/scolding their grandmother used on the young troublemakers. 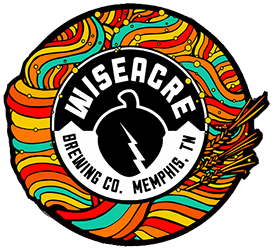 Brothers Davin & Kellan Bartosch dreamed up WISEACRE many moons ago & have been on an extensive quest procuring top-notch experience from around the globe to deliver the crunkest brewery possible in their groovy hometown of Memphis, TN. This weekend, we are tasting a selection of our Mix, Match & Save wines. Buy more than one wine from the tasting and you will get 35% off the prices below! This is a great way to stock up on delicious wines at a fraction of the cost (the holidays are comin'!). Very aromatic and expressive wine with dominant characters of lime, grapefruit, white flowers and peach finishing with notes of white pepper. The mineral backbone is enhanced by a crisp acidity, giving the wine superb complexity, and making it a food friendly style. This wine has aromas true to its varietal character showing apricot, wet stone and dried fruits. A weighty mid-palate with a finish that draws out with balanced acid and depth of fruit. Very refreshing and easy to drink. Organically farmed. 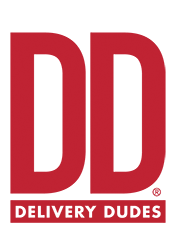 This wine is ruby in color with light garnet hues. It has the scent of fresh wild berries, lovely balance, and a good tannic structure to frame the wine. Our Pinot Noir was bottled in a traditional Burgundy bottle to reflect its elegance. This Merlot is produced from a skilled blend of Central Coast Merlot with a touch of Monterey Syrah. This blend achieves soft tannins and the right balance of toasty oak. Bold Plum and berry flavors with just the right amount of soft tannins. 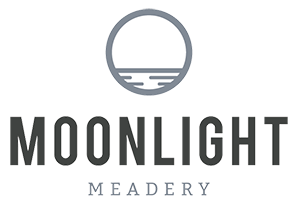 This Saturday, we will have the folks from Moonlight Meadery in the store to let you sample their delicious flavored meads! Moonlight Meadery’s founder, Michael Fairbrother, has been perfecting his meadmaking skills since 1995. Our world class meads and ciders are crafted with passion and love. All of our honey is True Source Certified. The True Source Certification guarantees that our honey comes from real bee keepers that ethically source their honey. Every shipment of honey we receive is fully traceable back to the hives of origin. Our fruit ingredients are sourced locally and sustainably. If there are no local options available (mangoes don’t grow in NH… yet) then we find the highest quality available to us. We use whole fruits when possible, if none are available then we use fruit purées or juices. Our founder Michael Fairbrother has used the same yeast strain for over 21 years of meadmaking, Lalvin 71B. This white wine yeast strain produces incredibly smooth alcohols and can ferment up to roughly 17% ABV. The yeast makes all the magic happen, it is our job to ensure they have the ideal environment to do their work. Stop in between 3 & 6 pm and find your favorite! Don't forget Oktoberfest starts this weekend. Come in and stock up on our wide selection of Oktoberfest and Marzen beers from around the world in bottles, cans, and on draft! Bold Rock Ciders For Beer Thurs+Black Abbey Brewing Fri+Mayday Brewing Sat & Weekend Wines!